Another grand coalition is looking more likely in Germany after Martin Schulz's Social Democrats agreed to hold talks with Chancellor Angela Merkel on ending the country's political stalemate. The SPD had said it would go into opposition after its support fell to a post-war low in September's general election. The about-turn by the centre-left party however could help avert a disruptive repeat vote in Europe's economic and political powerhouse. 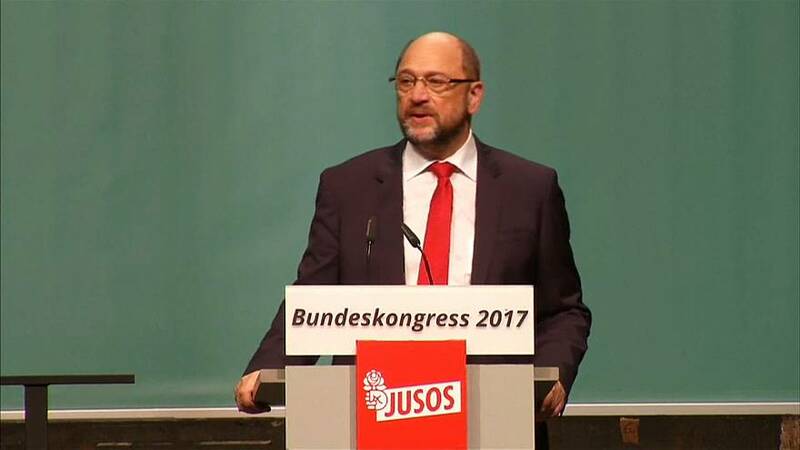 Schulz told 300 members of the party's youth wing - who rejected another "grand coalition" at a conference in Saarbruecken - that nothing had been decided. But he suggested that governing could offer better chances to achieve his primary goal of improving people's lives. "I am prepared to discuss everything with you," Schulz said, having insisted that any decision to participate in a new government would be put to a vote of party members. Conservative Chancellor Merkel is facing the biggest political crisis of her career after her efforts to form a coalition with the liberal Free Democrats and the Greens collapsed. Should new elections be held, many commentators think the right wing nationalist Alternative for Germany (AfD) party stands to gain most. The crisis arose because Merkel's conservatives lost votes in September's election as the anti-immigrant AfD surged into parliament. German President Frank-Walter Steinmeier will host a meeting with Schulz, Merkel and Horst Seehofer, leader of the CDU's arch-conservative Bavarian sister party, next Thursday.